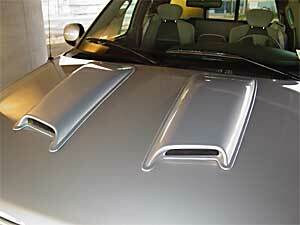 Give your car or truck that performance hood look. These ABS plastic scoops install easy with 3M tape and no drilling. They can be easily painted to match your vehicle. They are available in Smooth and Racing Accent styles.